DIY Garden Projects & Tips Print this Project! "As spring inches closer, we’re looking forward to growing our gardens—starting with some tips from Swansons Nursery." We're excited to head back to the Northwest Flower and Garden Festival for our fifth year. We'll have some fun projects on hand at the Dunn DIY booth to help you get set up for spring, and we'd love to see you at the show (which runs February 20-24). Stop by and say hi—you can find us at booth 707! As spring inches closer (we’re almost there! ), we’re looking forward to growing our gardens—starting with some tips from Swansons Nursery. 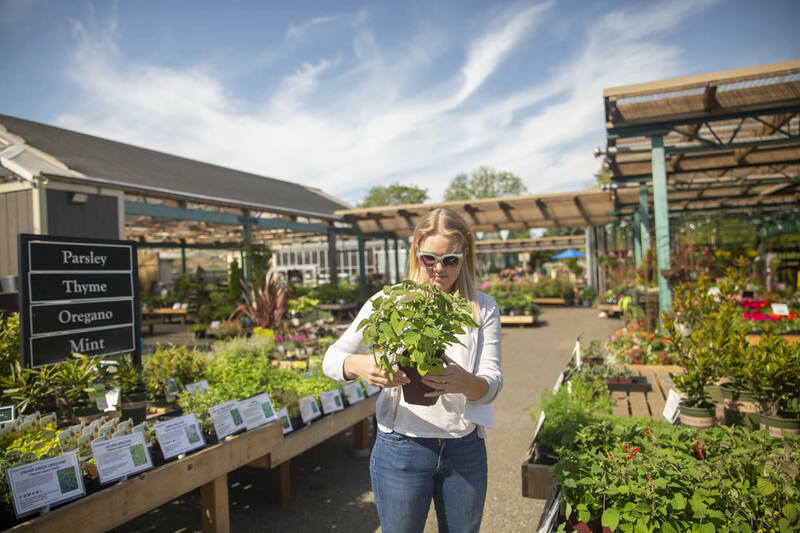 We’ve been long-time fans of their expansive nursery in Crown Hill (I loved visiting for our DIY cocktail herb garden), and they’ve become our go-to for just about everything thanks to their quality and expertise—whether it’s picking up herbs, grabbing some flowers, or learning how to grow vegetables and fruit in the Pacific Northwest. Today, we’re turning to guest author and friend of Dunn DIY, Aimée Damman, for help on everything you need to know about planting a pollinator garden, so you can have a healthy, happy crop or flower bed—and healthy, happy bugs and insects. Take it away, Aimée! A pollinator is an animal or insect that helps pollinate plants by transferring the pollen from one part of a plant's flower (the stamen) to another part of the flower (the stigma). This can occur on either the flowers of the same plant or on flowers of different plants. The process isn’t all that different from human reproduction: Once the pollen is transferred to the plant ovary, fertilization occurs, which eventually produces a seed that holds all the genetic information of the plant. Some plants are self-pollinating, but most need pollinators to transfer the pollen amongst plants in order to reproduce—so pollinators are important! The most common pollinators are bees, butterflies, moths, wasps, beetles, bats, hummingbirds, and other flying insects. Are there Flowers that Attract Bees and Other Pollinators? Lately, there’s been more conversation about dwindling pollinator populations (especially bees). There are many theories as to why these populations are becoming less prevalent. Regardless, it’s important to create healthy habitats to attract and foster pollinators like bees—particularly in cities, where there are fewer green spaces. Pollinators seek out the nectar and pollen in the flowers of pollinator-friendly plants; the byproduct of this process is the pollen getting stuck to the pollinator's body (such as a bee collecting pollen on its legs) and being transferred to a different flower. This process leads to the pollination of your plants. Bees and other pollinators are drawn to a number of plants, but in the Pacific Northwest, yarrow, California wild lilac, agastache, and thyme are great options to start with. Planting plants and flowers that attract pollinators does double duty—you’re not only giving a wide array of food and shelter to important insects, but you’re reaping the benefits of pollination. The more we can have these spaces where pollinators can travel (even through dense, urban areas by creating green patches and pathways), the more it allows them to thrive. Speaking of Bees—Which Kinds Are Best to Raise? For beginners or those looking for bees to pollinate but not to produce honey (therefore making them less labor-intensive), I like mason bees. They’re great because they generally don’t sting, so people feel more comfortable having them around—even in highly trafficked areas in their garden or in a yard with kids. When it comes to pollinating, one mason bee can do the work of 100 honey bees—they visit about 700 flowers a day and have a pollination rate of 99 percent, which is pretty incredible. Mason bees are most active in the early spring, making them a great pollinator for early spring flowers, fruit trees, and berries. You don’t need much space to host mason bees, and they don’t require the same amount of care or tending that honey bees do—all you have to do is put out a house and fill it with larva tubes and they’ll do the rest for you. You can even hire people to take care of your mason bee house—clean it, populate it with larvae each year, etc.—so it can be entirely hands-off if you’d prefer. Honeybees are a good choice if you are interested in (and have the time to tend to) bees. You can also hire people to set up hives and tend to honeybees in your yard—and some even share the honey that is produced! 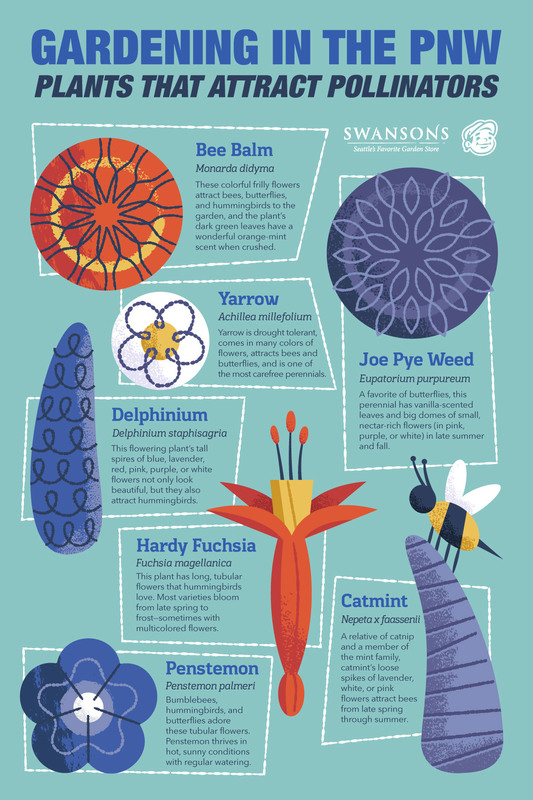 What Should I Plant in my Pacific Northwest Pollinator Garden? First and foremost, it’s important to plant a mix of species so you can attract as many different pollinators as possible. It’s also important to include species that are native to your region and will attract pollinators that are native to your region, too. Washington in particular has certain butterflies such as the Western Tiger Swallowtail, the Purplish Copper, and the Mourning Cloak. It also has a lot of moths and hummingbirds such as Anna’s hummingbird and the Rufous hummingbird. Some species to consider in Washington include those in the Asteraceae family, such as aster, marigold, yarrow, coneflower, Joe Pye weed, and helenium. As mentioned previously, bees love yarrow, California wild lilac, agastache, and thyme. Besides having a good variety of plants and reading the tags on each to ensure the plants you’re planting have what they need in terms of light, soil, space, and more—there are no real rules. You could have a few different pots with a mixed herb garden (yep, pollinators love thyme, rosemary, and oregano), or you could scatter a seed mix across a big patch of bare soil. There is no specific recipe, so get creative! What Plants Are Best for Beginners? Yarrow is drought tolerant, comes in many colors of flowers, and attracts bees and butterflies. It makes an excellent cut flower (fresh or dried), and is one of the most carefree perennials. Plant it in full sun and well-drained soil, and cut back after blooming to encourage new blooms. This flowering plant is one of the most romantic of them all—its tall spires of blue, lavender, red, pink, purple, or white flowers not only look beautiful, but they attract hummingbirds. Delphinium species (there are more than 400 total) love sun, rich soil, and regular fertilizer. 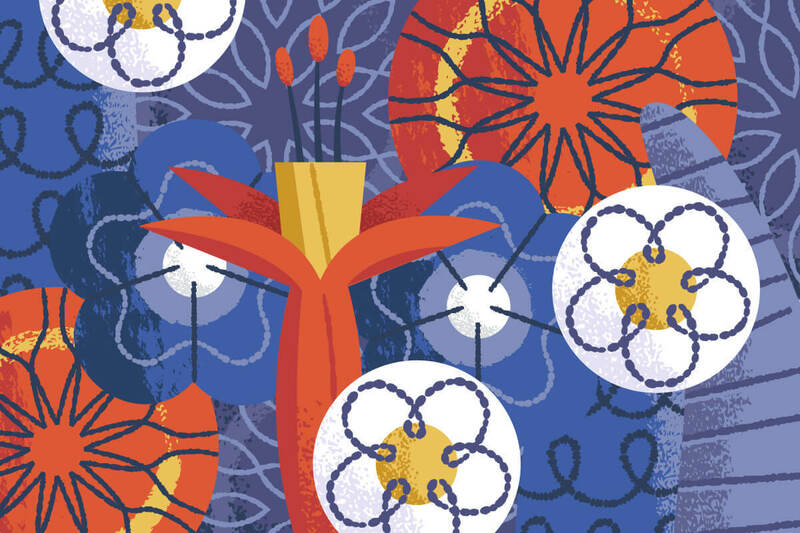 To encourage more blooms, remove spent flowers. Bumblebees, hummingbirds, and butterflies adore these tubular flowers. Penstemon thrives in hot, sunny conditions and prefer well-drained soil and regular watering. They’re available in a variety of colors and sizes and make for a nice fresh-cut flower. When it comes to plants that attract hummingbirds, this is a good one: it has long, tubular flowers that hummingbirds love. Most varieties bloom from late spring to frost—sometimes with multicolored flowers. Grow these in part sun to light shade depending on the variety, be sure to keep the soil regularly moist, and feed them in early spring. These frilly flowers attract bees, butterflies, and hummingbirds to the garden. Also known as Oswego Tea, this plant’s dark green leaves have a wonderful orange-mint scent when crushed. The flowers can be red, purple, white, lavender, or pink, and the plant does best in full sun to part shade with well-drained soil. A relative of catnip and a member of the mint family, catmint’s loose spikes of lavender, white, or pink flowers attract bees from late spring through summer. For best results, grow in full sun to part shade and cut faded stems to the ground to encourage rebloom. A favorite of butterflies, this perennial has vanilla-scented leaves and big domes of small, nectar-rich flowers (in pink, purple, or white) in late summer and fall. It can grow up to 8’ tall and is even deer-resistant. It prefers full sun and evenly moist, well-drained soil. Have more questions about starting your own pollinator garden? Visit us at Swansons Nursery—we have an entire section dedicated to pollinator plants and are here and happy to help. You can also reach out to us on social media using #heyswansons! 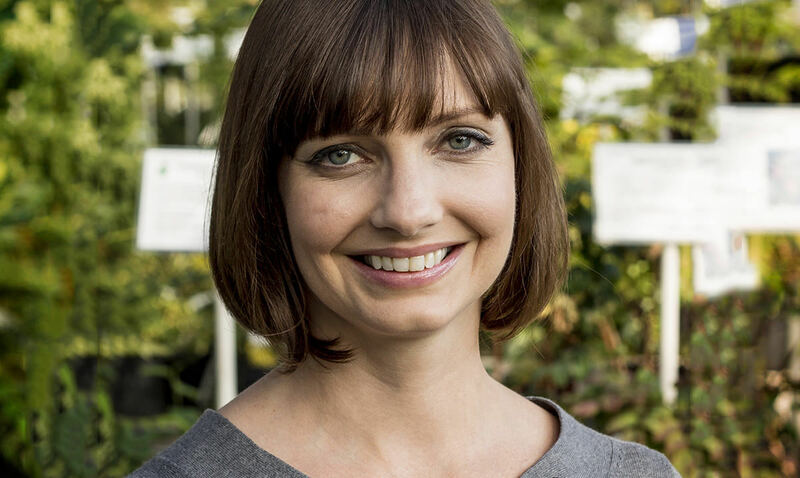 Aimée Damman is the Director of Marketing & Communications at Swansons Nursery and an avid vegetable gardener. Some of her favorite aspects of the job are being the editor-in-chief of Swansons’ garden blog, planning community projects and events, and taking photos of interesting plants. When she’s not working or gardening, she loves yoga, cooking, photography, and exploring the Pacific Northwest. For more helpful articles, visit the Swansons Nursery blog, which has a section devoted to edible gardening. Adding an irrigation system with an overflow will keep your raised bed's soil moist while draining excess water.